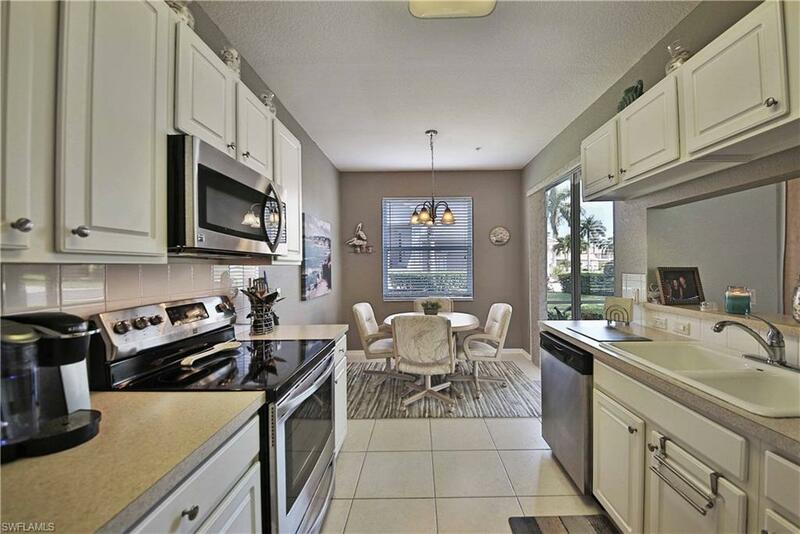 You will love to call this 3 bedroom 2 bath condo home!! Property offers a single car garage and extra storage closet. Beautifully maintained with pride of ownership.....and it shows . Great FIRST floor location NO STAIRS, end unit that offers loads of natural light. Just walk right in. 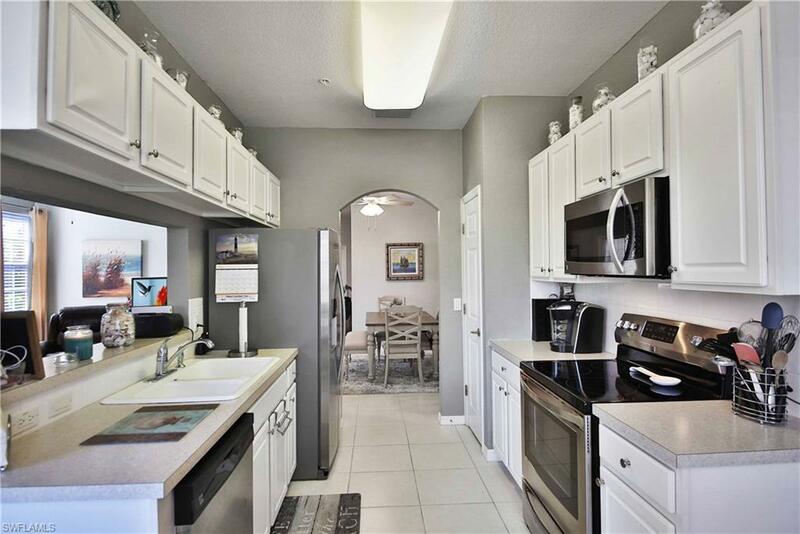 Eat in kitchen, lots of cabinets, stainless appliances. Condo offers volume ceilings, and has been newly painted. Large tile throughout except for bedrooms. Big walk in closet in master bedroom and master bath offers dual sinks and soaking tub and walk in shower. Updated lighting and fans. 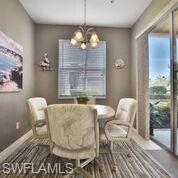 You will enjoy hours sitting and relaxing on Screened lanai. 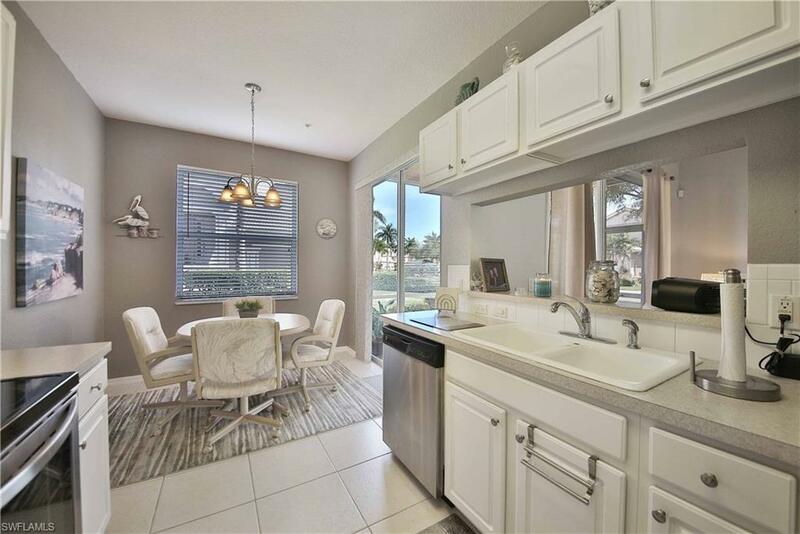 This condo is also conveniently located close to the community pool and recreational activities that Reflection lakes is well known for and low fees .Gated and close to shopping, restaurants, theater, and the white sandy beaches. Listing courtesy of Lori Emmons of The Landings Realty, Inc..